This resource is a compilation of one of the greatest aspects of our monthly publications - the clinical pathways. 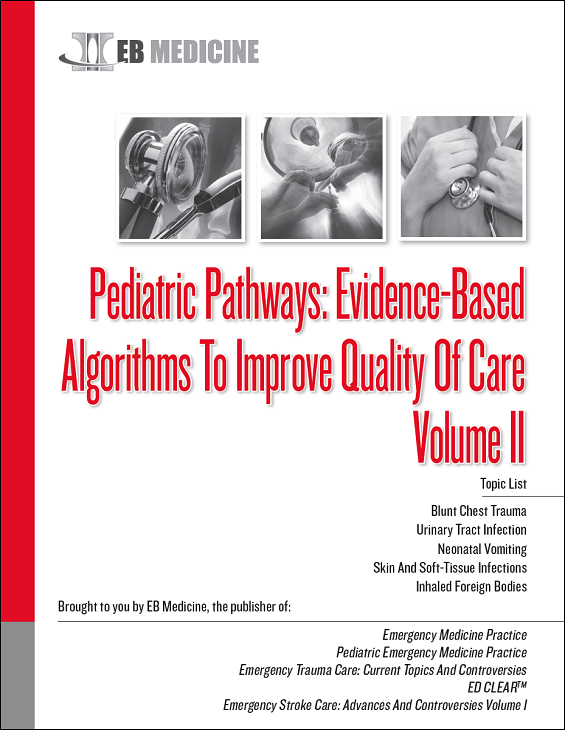 These algorithms provide you with a quick reference and step-by-step guide to common problems you face daily when managing pediatric patients. This compilation covers important clinical topics, including blunt chest trauma, urinary tract infections, neonatal vomiting, skin and soft-tissue infections, and inhaled foreign bodies.